Community events have always provided opportunities to have fun and socialize with family, friends and neighbors, and the long list of Central Oregon events taking place in Prineville are no exception. 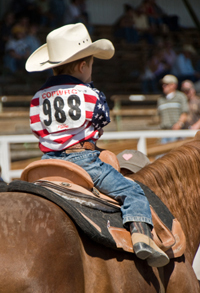 For example, Prineville gathers annually for the Crook County Fair, Old Fashioned Fourth of July Celebration, Crooked River Horse Races, Crooked River Roundup, Prineville Rockhound Pow Wow, Lord’s Acre Sale, and High Desert Celtic Festival. There are also many local entertainment options. Visit the Prineville Chamber of Commerce website for a complete list of Prineville Events. With so much to do here, you’ll always have something on your calendar!